Guidelines to enhance the development of low-cost airlines have been unveiled, in a move expected to provide a boost to the nation’s aviation sector. The guidelines will adjust the cap on budget airline fleets, encourage more rapid expansion and make it easier to set up low-cost carriers, the Civil Aviation Administration of China said. They will also streamline approval procedures and cut airport charges in third- and fourth-tier cities. Budget airlines will soon offer diversified services such as boarding priority or seat selection for passengers who are willing to pay for the convenience, according to the guidelines. The aviation administration will encourage local governments to build new airports or modify existing ones for low-cost carriers, while continuing efforts to lower import tariffs for aircraft and aviation equipment. In addition, the administration said it plans to deepen cooperation with financial institutions, especially in arranging lending facilities for budget carriers. The move is the second within four months to boost the sector. In November, the Civil Aviation Administration of China and National Development and Reform Commission abolished the lower ticket price limits, allowing airlines to set their own prices. The moves will provide fresh momentum for low-cost airlines, enabling them to compete with large airlines, experts said. “I expect there will be a surge in low-cost carriers because the number of trips made by Chinese people has been increasing. In addition, local governments are enthusiastic in linking remote, mountainous areas with affordable air transport,” said Li Xiaojin, a professor of transportation economics at the Civil Aviation University of China. Wang Ya’nan, deputy editor-in-chief at Aerospace Knowledge magazine, said the guidelines aim to prepare Chinese budget airlines for fierce competition from their foreign counterparts. Zhang Wu’an, spokesman for Shanghai-based budget carrier Spring Airlines, said low-cost carriers will benefit from the government’s support. The country’s air transportation sector has long been dominated by giant airlines such as Beijing-based Air China and Guangzhou-based China Southern Airlines, which control the most lucrative routes and the best takeoff and landing slots at airports. 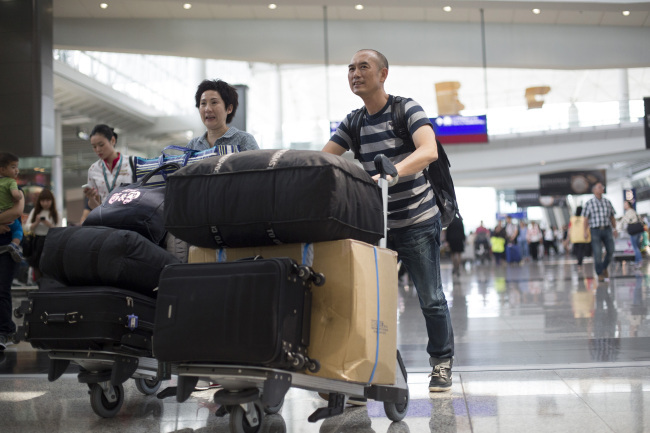 Low-cost carriers account for less than 5 percent of China’s aviation market by passenger volume, far lower than the 26 percent market share that budget carriers enjoy around the world, according to official statistics.